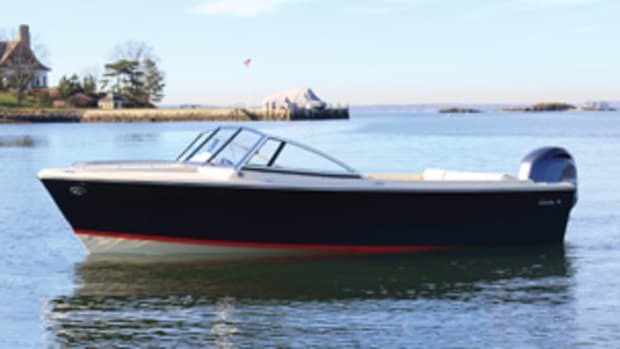 The Spanish boatbuilder previously known as Menorquin — now Minorca Yachts — is back in the Americas with a new boat and a new distributor. 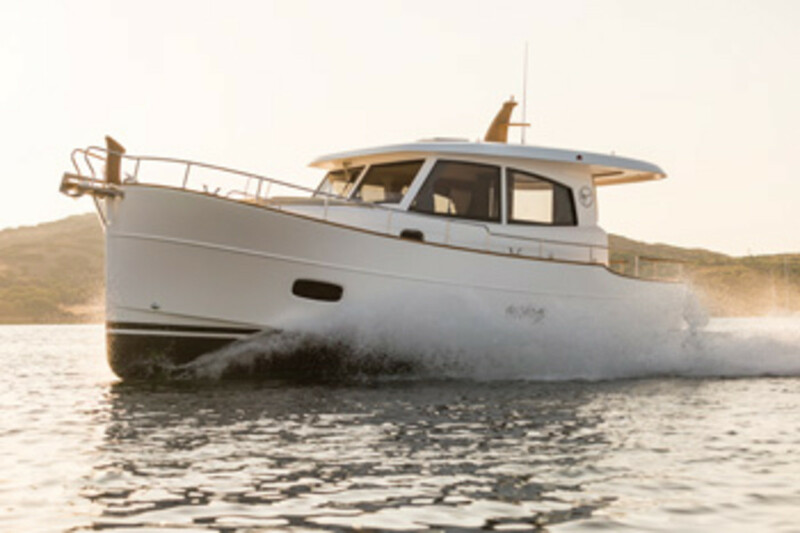 The Islander 34 debuted at the Palm Beach International Boat Show in March with distributor SYS Yacht Sales of Jupiter, Florida. Built in the Balearic Islands by the Sasga yard, these unique semidisplacement motoryachts were briefly sold in the United States about 15 years ago. 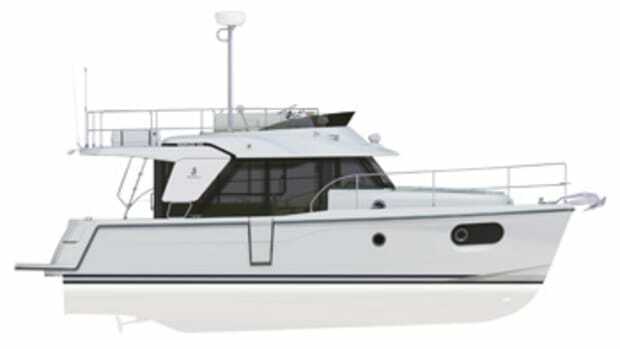 A pair of Yanmar 6BY3 turbo diesels powers the Islander 34. 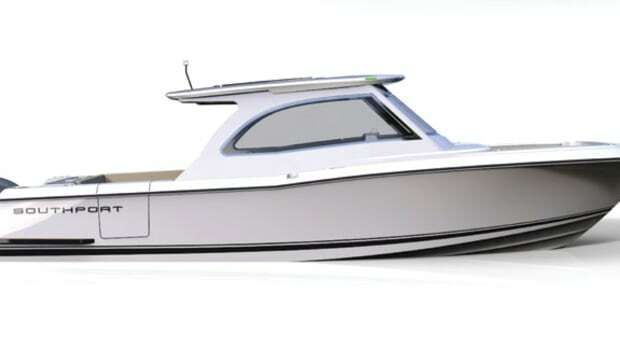 Top speed is 22.7 knots, though most owners will cruise at around 16 knots. 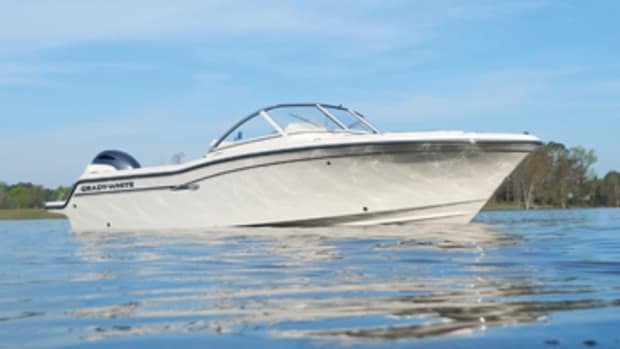 This is where the engines burn around 12 gallons per hour, offering up a theoretical cruising range of about 229 miles with the 172-gallon fuel tank. 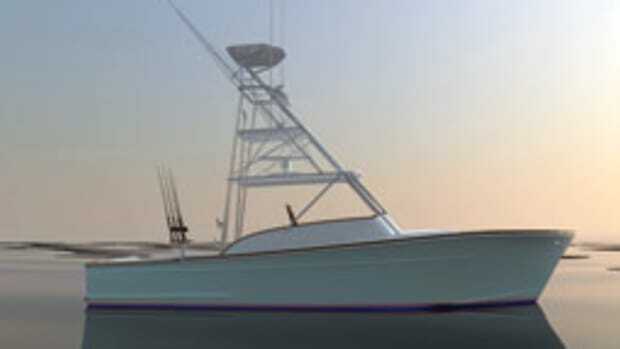 The boat rides an efficient but stout semidisplacement hull built using a resin-infusion process. There’s a two-cabin layout below, highlighted by teak joinery and contrasting white upholstery and interior components. The master stateroom is in the bow, with a large island berth and plenty of stowage cabinetry for a cruising couple. 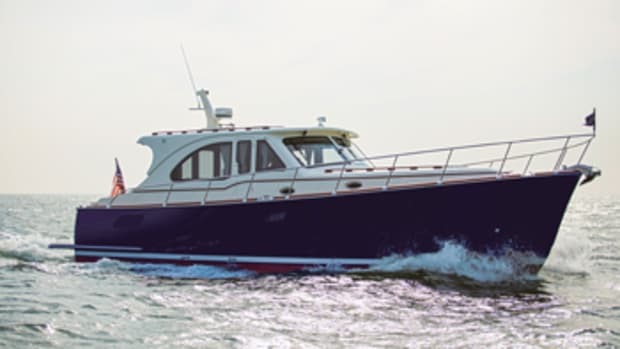 A full-beam guest cabin sits athwartships under the pilothouse with two single berths. An enclosed head/shower is to port, shared by both staterooms. 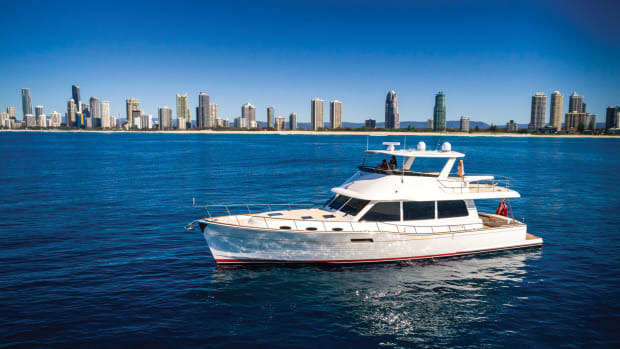 The roomy main saloon features a large dinette, a port-side lounge and a small galley across from the starboard helm.